Welcome! If you found my page, that means you #JustSaidYes and need to start making plans. 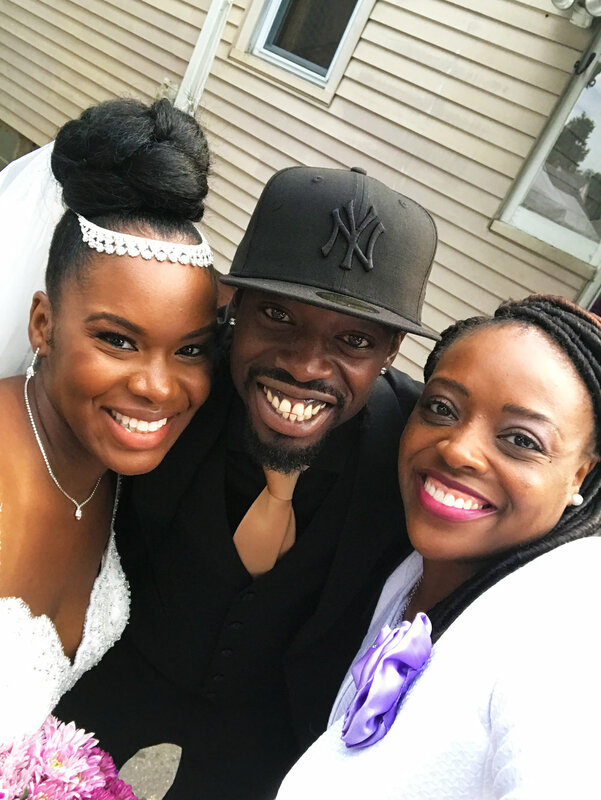 My name is Orsella Hughes, and I am an ordained wedding ceremony officiant serving all of CT, Westchester, NY County, and everywhere in between! Keep reading to learn more about Serenity Ceremonies by Rev. Orsella! As an ordained wedding officiant, I have been officiating ceremonies since 2005, but officially launched Serenity Ceremonies by Rev. Orsella on August 29, 2016. As the recipient of multiple five-star reviews on Wedding Wire, I am proud to have received Wedding Wire’s Couple Choice Award. I absolutely love writing a great wedding story and I’m excited to begin crafting your fairytale. Through the Serenity Journey, traditionally known as pre-marital counseling, you and your fiancé will participate in readings and activities that help create a spiritual foundation for your marriage. The Serenity Journey includes five sessions, each typically lasting one hour. The perfect gift to your marriage is to constantly keep it fresh and renewed. Vow renewal services with Serenity Ceremonies by Rev. Orsella will help you design a ceremony that captures the love you have built over the years. In most states, a copy of the clergy’s ordination paperwork is the only proof of authenticity needed for a member of Serenity Ceremonies to officiate your wedding outside of Connecticut. In all cases, foreign or domestic, our staff will research and retrieve the necessary documents to ensure your wedding is officiated legally. Thank you! I'm so happy to see you're ready to get started! I have received your inquiry and will return your message very soon.